A Crown Type Diamond Dresser in which sharp natural diamonds are set in a circular rating plane. As soon as the diamonds on the indexed position are completely Adjusted on the shank for new points. Shanks for the crown are made to customer's specifications. 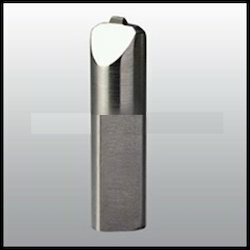 We PARAS DIAMOND CO. are leading manufacturers Exporters of Single point Dresser Tools. The Gemlogis LEO is designed to function as a colorless synthetic diamond screener for mounted stones or differentiate between Synthetic Diamond, Moissanite and Simulates for loose stones. Cluster Type Diamond Dresser is used for rough dressing of grinding wheels. In this tool number of small natural diamonds are set in a geometric pattern in single layer. This dressers are resistant to shock & impact. Our company is offering qualitative range of Chisel Diamond Dressers as per the demands of our esteemed clients. These are sourced from our trusted and reliable vendors that ensure only optimum quality product is delivered at industry leading prices. Further, we can solve any quarries regarding Chisel Diamond Dressers to our customers. Blade Dressers are classify by used diamond grain Blade (GBD), Needle Type Blade Dressers (NBD) and Precision Dressing Blades (PDB). These tools are used for serial production primarily on round- and centerless grinding machines. Wendt Segmented Diamond products are ideal for grinding materials like refractories, ceramics, tiles, brake lining etc. 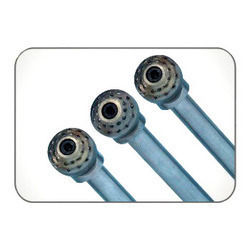 These are used on vertical / horizontal spindle surface grinders for higher material removal. We are offering to clients Single point diamond dressing tool. Similar in action to the dressing sticks indicated above, we have developed dressing wheels which are used on machines with automate dressing capabilities. These wheels have been developed for both resin bonded & metal bonded / CBN wheels.